Good news for Nero software fans! Here we have the rebranded edition of the popular Nero BurnLite 10 software with media management features. 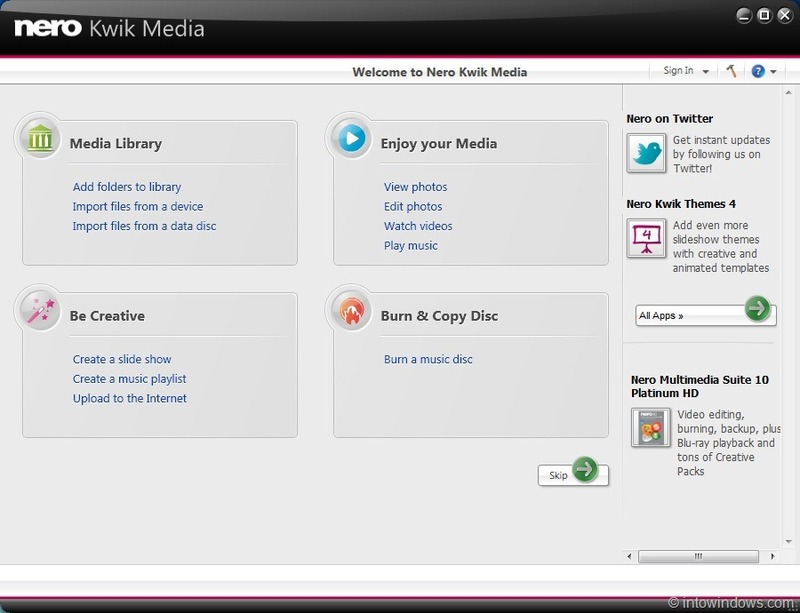 Nero has just released a free personal media management and digital lifestyle software named Nero Kwik Media and is available for download now. 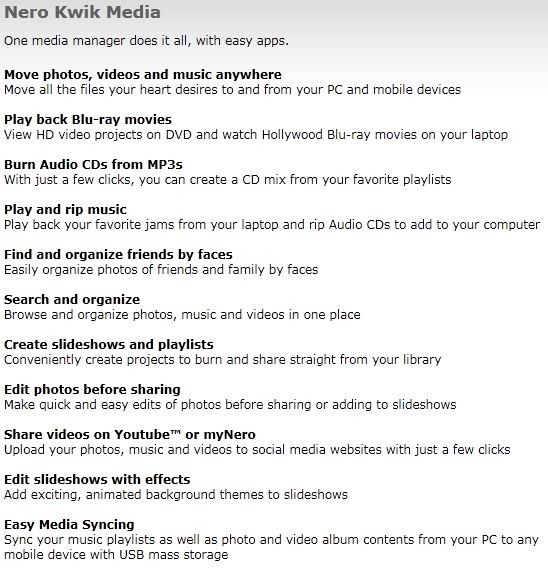 Nero Kwik Media is a free media management software that makes it quick and easy for you to find, organize, edit, play and share music, photos and video files between a computer, tablets, mobile phones and online social networks. Apart from digital media management, it also allows you burn Audio and MP3 CDs with a few clicks. The download size of this freeware is 174 MB and can be downloaded from below mentioned link. NOTE: Nero Kwik Media tries to install Nero Ask toolbar during software installation. The strange part of this software is there is no option to burn data discs! So, we recommend Nero 9 BurnLite free version to burn data discs. Hi nero , I purchased nero kwik media and nero video 11 , prism video file converter and the audio converter when iwas using windows xp 4 days ago , but since I upgraded to windows 7 2 days ago .It appears I .ve lost all these items I paid for and have been using since 2012 . how do I get all this back on to my computer . This is the same computer just upgraded from xp to windows 7. 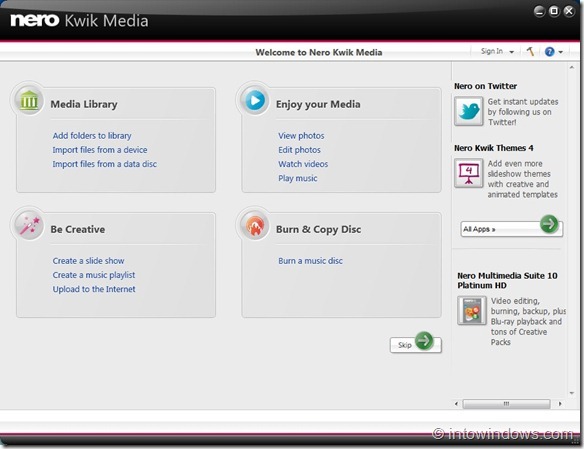 I want to be using Nero Kwik Media. Why you link to Nero 9 at the bottom when the improved Nero 10 Lite (link at the top) is still available?